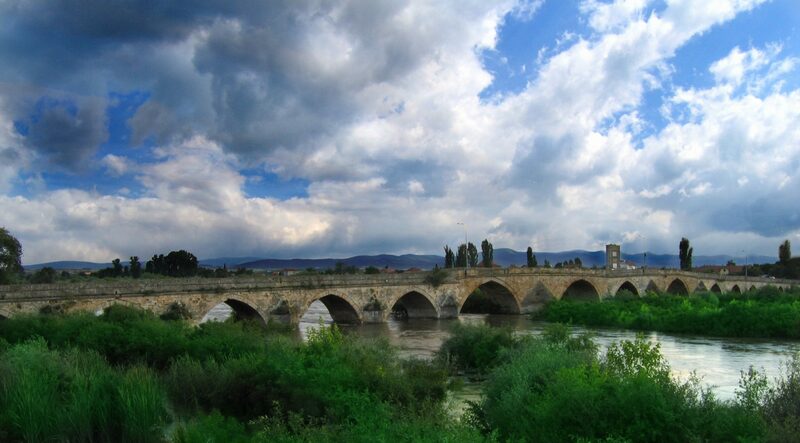 The grant contract for a total of EUR 1,036,568 for the rehabilitation of the Ottoman arch bridge over the Maritsa River has been signed between Bulgaria’s Ministry of Culture, which administers the EEA/Norway funding, and Svilengrad Municipality, reports local news site Svilengrad24. The grant is provided from the EEA/Norway Grants mechanism under a measure for the restoration, rehabilitation, and preservation of Bulgaria’s cultural heritage. 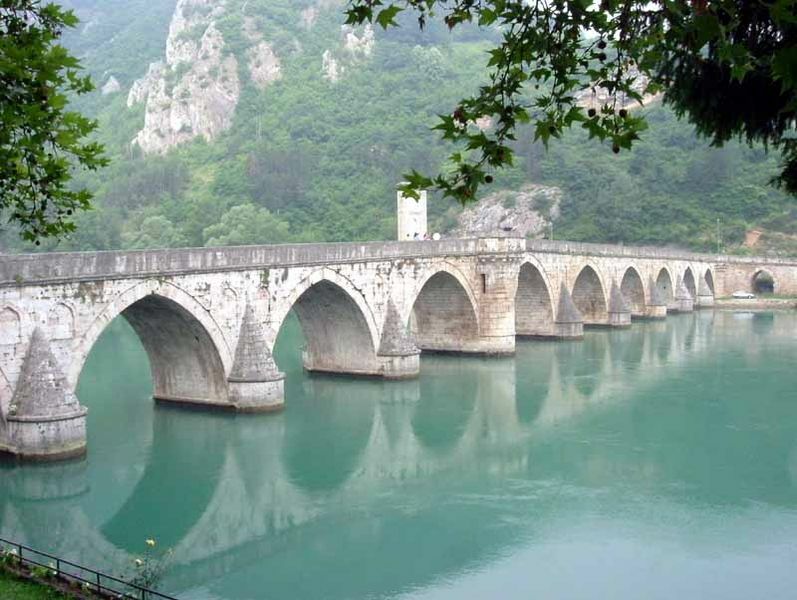 The bulk of the million-euro grant will be spent on the restoration and conservation of the arch bridge in Svilengrad built in 1529 AD by the most famous Ottoman architect Mimar Sinan (1490-1588) as his first major project. The bridge, which is known today as the Old Bridge, is the symbol of the Bulgarian town of Svilengrad. During the period of the Ottoman Yoke, i.e. when Bulgaria was part of the Ottoman Empire (1396-1878/1912), it was known as the Mustafa Pasha Bridge because its construction was ordered by Coban Mustafa Pasha, an Ottoman statesman and vizier. The rehabilitation of the 300-meter Old Bridge with funding from the EEA/Norway grant has to be completed by April 30, 2016. Part of the funding will be spent on turning Svilengrad’s Old Bridge into a site for cultural tourism using 3D mapping; an open-air museum will be created to present models of a medieval Ottoman waqf complex (a property given to a religious establishment for charity purposes) which existed near the bridge. It included a caravanserai (inn), a mosque, a bazaar (market), and a hammam (Turkish bath). The only of these structures to survive to this day is the Turkish bath which has already been renovated and turned into an art gallery. Some historical sources allege that the Ottoman complex near the bridge was built at the initiative of legendary Roxelana (1502-1558), an ethnic Ukrainian, the favorite wife of Ottoman Turkish Sultan Suleiman I the Magnificent (r. 1520-1566 AD). Later the town of Svilengrad developed around the waqf complex. The Old Bridge in Bulgaria’s Svilengrad is largely comparable to the Mehmed Pasa Sokolovic Bridge on the Drina River in Visegrad, Republika Srpska, Bosnia and Herzegovina, which, too, was built by Ottoman architect Mimar Sinan but much later in his career – in 1577 AD. Svilengrad’s Old Bridge, however, is 295 meters long and has 21 arches, while Visegrad’s Mehmed Pasa Sokolovic Bridge is 179 meters long, and has 11 arches. The other major difference between the two bridges of the legendary Ottoman architect is that the bridge in Bosnia was proclaimed a UNESCO World Heritage Site in 2007, while the bridge in Bulgaria lacks that status. However, in Bulgaria the Old Bridge in Svilengrad has been recognized as a “monument of culture of national significance”. Its restoration will comply with the recommendations of Bulgaria’s National Institute for Cultural Heritage Properties issued several years ago. One of the recommendations is to make the Old Bridge a pedestrian zone once its rehabilitation is completed. Bulgaria has a large number of monuments from the Ottoman period, and for the most part those have been preserved after Bulgaria’s National Liberation (1878). This was certainly not the way the invading Ottoman Turks handled the monuments of the medieval Bulgarian Empire at the end of the 14th century: most of the some 6,000 Bulgarian fortresses, cities, and monasteries were destroyed by the Ottoman invaders. This is just one of the reasons, and actually a less important one, why this period of Bulgarian history is known as the “Ottoman Yoke”. Most recently, Bulgaria’s Plovdiv signed a EUR 740,000 EEA/Norway grant contract for the “digitization”, i.e. filming, photographing, 3D presentation, and web publication of its archaeological and historical heritage. In addition to Plovdiv, the northern Bulgarian town of Tutrakan has also won an EEA/Norway grant of EUR 250,000 for the “digitization” of its archaeological heritage, including the Ancient Roman fortress Transmarisca on the Danube. An EEA/Norway grant worth EUR 748,000 has also been provided recently to Kardzhali Municipality in Southern Bulgaria for the partial restoration of the acropolis of the ancient and medieval rock city and fortress of Perperikon. However, in Bulgaria the Old Bridge in Svilengrad has been recognized as a “monument of culture of national significance”. Its restoration will comply with the recommendations of Bulgaria’s National Institute for Cultural Heritage Monuments issued several years ago. One of the recommendations is to make the Old Bridge a pedestrian zone once its rehabilitation is completed. Bulgaria has a large number of monuments from the Ottoman period, and for the most part those have been preserved after Bulgaria’s National Liberation (1878). This was certainly not the way the invading Ottoman Turks handled the monuments of the medieval Bulgarian Empire at the end of the 14th century: most of the some 6,000 Bulgarian fortresses, cities, and monasteries were destroyed by the Ottoman invaders. This is just one of the reasons, and actually a less important one, why this period of Bulgarian history is known as the “Ottoman Yoke”.